Revolutionary new energy sources may result in the most disruptive changes in human history. Any one of these potential energy sources may become a Black Swan event. This may have both positive as well as unintended consequences for climate change and biodiversity conservation. While the implications for climate change would be positive, severe disruptions in land-use patterns will require intensive monitoring of biodiversity and proactive conservation management. Accelerated fossil fuel use could conceivably push the Earth’s climate past a dangerous tipping point resulting in runaway global warming. James Hansen warns that we are on the verge of crossing a tipping point into catastrophic climate change. More and more evidence suggest that we could potentially face runaway climate change at a much faster rate than anticipated. While we need to actively pursue all alternative energy options, including energy conservation, novel energy solutions may be essential. We need to provide the growing energy needs of a growing world economy, both in terms of population growth as well as increasing consumption due to growing wealth required to eliminate poverty of the growing population. Since the German physicist Hans Bethe first explained how nuclear fusion powers the stars in 1939, there have been many attempts to harness fusion on Earth with mixed success. The largest government-sponsored fusion projects include ITER in France and the NIF in the USA. In 2007 construction work started on ITER in Cadarache, France. And in 2009 the US National Ignition Facility in Livermore, California, opened. NIF uses powerful lasers to compress and heat hydrogen fuel and so initiate fusion for military and astrophysical research. These large research programmes, however, may take decades to become economically viable. An interesting potential Black Swan is the independent, privately funded project that was initiated in 2002 when Dr. Michel Laberge founded General Fusion to develop economically viable fusion energy. His key insight was realizing that Magnetized Target Fusion, with the aid of modern electronics, materials, and advances in plasma physics, could provide a faster, lower cost, and more practical path to fusion power. General Fusion’s Magnetized Target Fusion system uses a sphere, filled with molten lead-lithium that is pumped to form a vortex. On each pulse, magnetically-confined plasma is injected into the vortex. Around the sphere, an array of pistons impact and drive a pressure wave into the centre of the sphere, compressing the plasma to fusion conditions. Perhaps the most surprising Black Swans may come in the form of novel solutions that may be found in nuclear processes that have not yet been harnessed, which could result in an unexpected energy revolution. As a student in 1984 at the University of Cape Town I studied physics under Prof Jan Rafelski (now at The University of Arizona). At the time one of his fields of research was the physics of table top Muon-catalyzed fusion (Rafelski and Jones, 1987). Since then I had a life-long interest in the possibility of clean fusion energy. One of the most exciting recent developments in physics is in the field of Low Energy Nuclear Reactions (LENR). At present it is not clear when LENR could replace fossil fuels. But if successful, LENR may result in the most disruptive energy revolution in history. It provides the potential for limitless, cheap, safe, distributed, clean energy that can be used on a small scale to provide energy for a single home or scaled up for industrial uses. In a video released on January 16, 2014 at Serious Science, MIT Associate Prof. Peter Hagelstein talks about the Problem of Cold Fusion and the Fleischmann and Pons experiment, condensed matter physics, and the laws of conservation of energy in momentum. In 2009 Scott Pelley of the CBS News TV programme “60 Minutes” did a story on “Cold Fusion Hot Again.” A video was released by Joe Zawodny (2012) of NASA and in 2013 Forbes reported on research conducted by NASA on LENR. An “Overview of Theoretical and Experimental Progress in Low Energy Nuclear Reactions” was presented by Francesco Celani (2012) and Yogendra Srivastava (2012) at a CERN Colloquium in March 2012 in Geneva, Switzerland. Robert Godes (2012) maintains that Brillion Energy Corporation will be able to generate power at a fourth of the cost of coal or natural gas power. Two physicists, Giuliano Preparata (Univ. Statute di Milano) and Allan Widom (Northeastern University, Boston), have proposed a theoretical model of the physics of LENR (Srivastava, 2012). While various chemical elements may be involved, one version of LENR involves Nickel (one of the most abundant elements on Earth) and Hydrogen, which would provide a limitless supply of cheap energy. The by-products would be the transmutation of Nickel into Copper, with no radioactive waste, greenhouse gases or any other form of dangerous pollution (Srivastava, Widom and Larsen, 2010). In May 2013 an independent report has been published on the “Indication of anomalous heat energy production in a reactor device containing hydrogen loaded nickel powder” (Levi, et. Al. 2013). The authors report that: “Even by the most conservative assumptions as to the errors in the measurements, the result is still one order of magnitude greater than conventional energy sources.” News reports have been featured in Forbes (Gibbs, 2013) and Wired (Hambling, 2013). In competition with Rossi, companies like Defklaion Green Technologies, Nichenergy, Brillouin Energy Corporation, Lattice Energy LLC as well as high-profile companies like Mitsubishi and Toyota are also working on commercializing energy generation based on LENR. An update in Wired magazine, “Cold fusion continues to progress stealthily into the mainstream,” suggests that 2014 is set to be a very interesting year for Low Energy Nuclear Reactions. If any one of these potential energy solutions can successfully be brought to the market, it will be a true Black Swan event that may have profound implications for climate change and the conservation of biodiversity. Climate Change: It may completely replace fossil fuels, halting the increase in carbon dioxide in the atmosphere. Furthermore, inexpensive clean energy may make it possible to extract carbon dioxide from the atmosphere to bring it back to pre-industrial levels, thereby stabilizing the climate. However, even if we stopped using fossil fuels, we may still experience disruptive climate over the next 100 years. Water and Food Production: It may become viable to desalinate sea water on a large scale, minimizing the need to extract fresh water from rivers. Vertical farming (Despommier, 2009) may become more efficient than conventional farming. Large areas of farm land may revert back to wilderness. While this may increase the area of land available for biodiversity, it is not clear what the unintended impacts may be of the uncontrolled spread of alien species on abandoned farmland. Social and Economic Disruptions: Accelerated urbanization and depopulation of rural areas. Inexpensive energy may accelerate the automation of industry resulting in large-scale unemployment. This may require a fundamental restructuring of the economy. Biodiversity: An irregular climate and the disruptive impacts on land-use patterns may require intensive monitoring of biodiversity to manage the spread of alien species and the influx of indigenous species onto abandoned farm land. CyberTracker’s Vision: In the future millions of citizen scientists worldwide may use their smartphones to monitor the entire global ecosystem in real time. Large-scale unemployment may provide an opportunity to create “Green jobs” to stimulate the economy and provide the manpower needed for conservation management. Intensive monitoring may reveal new data on the complexities of ecosystems evolving over time in response to disruptions in land-use patterns. Intelligent computers may be used to analyse huge quantities of complex data and predict future trends. Celani, F. 2012. “Overview of Theoretical and Experimental Progress in Low Energy Nuclear Reactions (LENR).” CERN Colloquium Thursday March 22, 2012, Geneva, Switzerland. Despommier, D. 2009. “The Rise of Vertical Farms.” Scientific American, Vol. 301. No. 5. Gibs, M. 2013. “Finally! Independent Testing Of Rossi’s E-Cat Cold Fusion Device: Maybe The World Will Change After All.” Forbes. Godes, R. 2012. Interview with Robert Godes, inventor of the controlled electron capture reaction (CECR) being commercialized by Brillion Energy Corporation of Berkeley. Hambling, D. 2013. “Cold Fusion gets red hot and aims for EU” Wired. Levi, G, E. Foschi, T. Hartman, B. Hӧistad, R. Pettersson, L. Tegnér and H. Essén. 2013. Indication of anomalous heat energy production in a reactor device containing hydrogen loaded nickel powder. Rafelski, J. and S. E. Jones. 1987. “Cold Nuclear Fusion.” Scientific American, Vol. 257, No. 7. Srivastava, Y. N. 2012. “Overview of LENT Theory Low Energy Nuclear Transmutations.” CERN Colloquium Thursday March 22, 2012, Geneva, Switzerland. This entry was posted in 6 Conservation and tagged biodiversity, Black Swan, Climate change, CyberTracker, Hydrino, LENR, Low Energy Nuclear Reactions, New energy, Nuclear fusion, Runaway climate change, Vertical farming on 2014/01/14 by Louis Liebenberg. This is an excellent article and i am looking forward to getting stuck into some of your references. I’ve been follow the LENC story for a while and it finally seems to be gathering some steam. Adrea Rossi’s E-cat is certainly one of those tantalising stories but it also has the whiff of con about it. I guess time will tell on that one. The second comment on this oil price story (http://oilprice.com/Latest-Energy-News/World-News/NASA-Expect-Low-Energy-Nuclear-Reactors-to-Replace-Domestic-Boilers.html#top) is really interesting and is about how big oil seems to be dumping assets. Very interesting to see this story written about from the angle of conservation. Black Swan even will be a part of my lexicon from now on! Thanks to relay that incoming Black Swan event that is visible since about 2011. You have done your homework which is exceptional on that domain, where myopia and blindness are the rule. 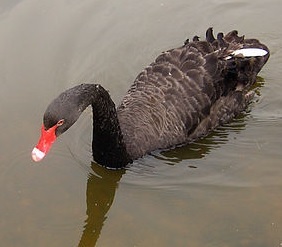 Nassim Taleb explain that often the blackswan is not an unknown event, but hidden in plain sight. In Competitive Intelligence we talk of Weak Signal for the huge noise that is actively denied by the mainstream information filter. Weak Signal are as weak as a T-Rex eating students on MIT campus. how the dependence among actors in a community make them share the same delusion, enforcing with violence the common suicidal delusion, hiding to their own cognition the data that may challenge their myth. about theories, I’m now convinced that Widom-Larsen is wrond and that neutrons cannot be produced in LENR except as parasitic reactions. I follow the vision of Edmund Storms the editor of Naturwissenschaften for LENR domain. I’m not sure that his theory is good, but is approache is the best one and he make many points agains other pet-theories. and hundreds other interesting articles on various domains. “Unfortunately, physicists did not generally claim expertise in calorimetry, the measurement of calories of heat energy. Nor did they countenance clever chemists declaring hypotheses about nuclear physics. Their outspoken commentary largely ignored the heat measurements along with the offer of an hypothesis about unknown nuclear processes. They did not acquaint themselves with the laboratory procedures that produced anomalous heat data. These attitudes held firm throughout the first decade, causing a sustained controversy. The upshot of this conflict was that the scientific community failed to give anomalous heat the evaluation that was its due. Scientists of orthodox views, in the first six years of this episode, produced only four critical reviews of the two chemists’ calorimetry work. The first report came in 1989 (N. S. Lewis). It dismissed the Utah claim for anomalous power on grounds of faulty laboratory technique. A second review was produced in 1991 (W. N. Hansen) that strongly supported the claim. It was based on an independent analysis of cell data that was provided by the two chemists. An extensive review completed in 1992 (R. H. Wilson) was highly critical though not conclusive. But it did recognize the existence of anomalous power, which carried the implication that the Lewis dismissal was mistaken. A fourth review was produced in 1994 (D. R. O. Morrison) which was itself unsatisfactory. It was rebutted strongly to the point of dismissal and correctly in my view. No defense was offered against the rebuttal. During those first six years, the community of orthodox scientists produced no report of a flaw in the heat measurements that was subsequently sustained by other reports. “When a scientist writes about cold fusion, he should be held to more exacting standards. He must not dismiss or condemn cold fusion without reading the journal papers, and without presenting a credible, technical reason for doubting those papers. Society relies upon scientists, lawyers, ship captains, and other professionals to make unbiased, informed statements about their areas of expertise. It is unethical for a scientist to endorse or condemn a claim he has not carefully analyzed. In rare cases, a few scientists have been guilty of even more unethical behavior. McKubre and other prominent cold fusion scientists have given copies of journal papers to prominent critics, including Douglas Morrison, Robert Park, and John Huizenga. The papers directly contradict assertions made by the critics regarding matters of fact, not opinion, such as the amount of energy produced by cells in continuous bursts, the percent of input versus output, or the amount of chemical energy that a mass 0.5 grams of palladium deuteride will release as it degasses. Morrison often claims the degassing can account for the heat produced during an experiment performed by Fleischmann and Pons. Fleischmann gave him a paper showing conclusively that he is mistaken by a factor of 1,700. Morrison has been told about this mistake countless times, at conferences, in writing, and in a formal reply published in Physics Letters A. Yet he recently contacted a Nobel laureate and repeated the same misinformation. Fortunately, the Nobel scientist contacted me, and I was able to give him the correct numbers. Gary Taubes is another prominent critic. He made many misinformed claims in his book, on the radio, and in the mass media. He may not be qualified to read journal papers, because he does not appear to understand basic concepts such as electricity. He claims people sometimes measure electrolysis amperage alone and not voltage, and he thinks that regulated power supplies put out more electricity over the weekend because factories use less power. He thinks some researchers measure tritium once, after the experiment, without establishing a baseline or taking periodic samples. His book is filled with hundreds of similar errors. Perhaps the most mind-boggling one was his statement that a cell might have huge temperature gradients, “say fifty degrees hotter on one side than the other.” This is like asserting that you might stir a cup of coffee, drink from the right side and find it tepid, but when you turn the cup around and drink from the left side, it will be steaming hot. Taubes wrote his book using the same methods employed by sensation-mongering reporters in 1912: he pieced together second-hand rumors and made wild guesses about a subject he does not understand. He described his methods in the introduction, footnotes, and appendices. The book is based upon interviews and telephone conversations with 257 people, listed in an appendix. He spoke with seventeen people who actually performed experiments. Four of the seventeen are implacable enemies of cold fusion, including the authors of the three famous “negative” experiments. Most of the remaining 240 are critics like Frank Close and William Happer, who deplore cold fusion, and have staked their reputations on its demise. They have attacked it in the mass media, the ERAB report, and in books. Although more than a thousand peer-reviewed papers were published by the time Taubes wrote the book, he did not reference a single one of them in the footnotes. His descriptions of the experiments are wildly at variance with the facts, in major and minor details, so it seems unlikely that he read a paper. Describing an experiment is an exacting task, even when you understand electricity, you read the paper, visit the lab, and ask the experimenter to review your description. When a scientifically illiterate person tries to imagine how an experiment works based on allegations made by people who despise the research, indescribable confusion and distortion result. Taubes’ book was recommended in enthusiastic blurbs by four Nobel laureates and the chairman of the American Association of the Advancement of Science. These people could not have actually read the book, or if they did, their judgment was skewed by animosity. This shows how easy it is to spread false information, and how careless distinguished scientists can be. It takes only a small group of people to poison the well of public opinion. There may be a few other active critics in the mass media, but most attacks originate from these four: Morrison, Park, Huizenga, and Taubes. They are not famous or influential. They succeed because many scientists bear a grudge against cold fusion, and are willing to believe the worst about it. When Robert Park attacked it with inflammatory ad hominem rhetoric, a room packed with hundreds of members of the American Physical Society (APS) applauded and cheered. One way to learn how to separate fact from fiction is to study the ways mistakes and disagreements arose in the first place, and why they remain in the historical record, seemingly impervious to correction. is there something to add ? Fiasco of the century, indeed. As usual would add Taleb, Kuhn, Benabou, Shechtman, Schekman, … nothing new, just a bigger fiasco, because bigger consensus.